With nearly 10 million motorcycles in America, it’s obviously a popular way to have fun on and off the open road. After a fun day biking, who really wants to clean down a dirty, mud-caked bike? Most bike enthusiasts usually manage, at best, a quick blast with the garden hose and leave the full cleaning to that well-meaning ‘other’ day. For our DetailXPerts professionals, there’s nothing they like more than the challenge of a crusty, mud-covered bike. 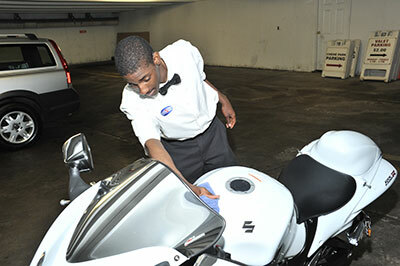 Using the eco power of steam, your local DetailXPerts professional will return your prized baby to a showroom gleam. From the sprockets to the mirrors, the only person with a prouder smile than our professional will be you.